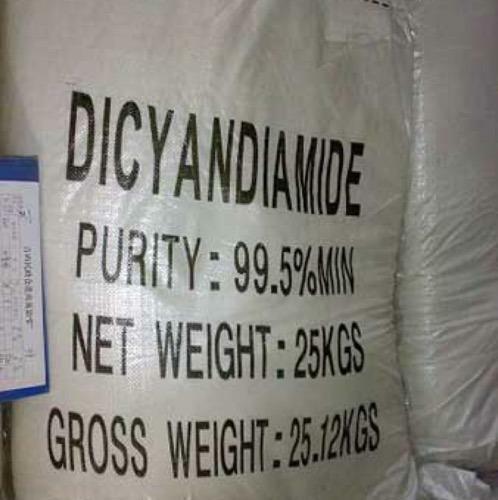 We are sharply indulged in the offering of dicyandiamide in the market in different thicknesses. These concept are easy to clean and completely safe to use up to longer time. Besides this, these are made by the experts in line to meet complete satisfaction of the customers. Incorporated in the year 1989, Richloom Exim is ranked amongst the distinguished wholesaler, supplier and trader of a finest quality range of Ramie Yarn, Polyester Grey Warp Knitted Fabric, Linen Yarn, Viscose Yarn, Polyester Virgin Yarn, Polyester Close Virgin Yarn. The offered products are procured from the authorized and reliable vendors of the market who design and fabricate these products by the use of premium quality fabrics and other necessary materials as per the latest trends of the market. Provided products are offered in various colors, sizes, designs and other specifications to fulfill the accurate necessities of the clients. Apart from this, our products are extensively praised and demanded by our customers for their high durability, soft texture, shrinkage resistant nature, alluring patterns, skin friendliness. The offered products are available at most economical prices.